Home Blog Happy Movember Everyone! November 1st starts the hairiest month of the year also known as ‘Movember’ and we thought we should gather some interesting information about the Movember Foundation. The guys who started it all! The Charity began in 2003 set up by Travis Garone and Luke Slatterly in Australia. 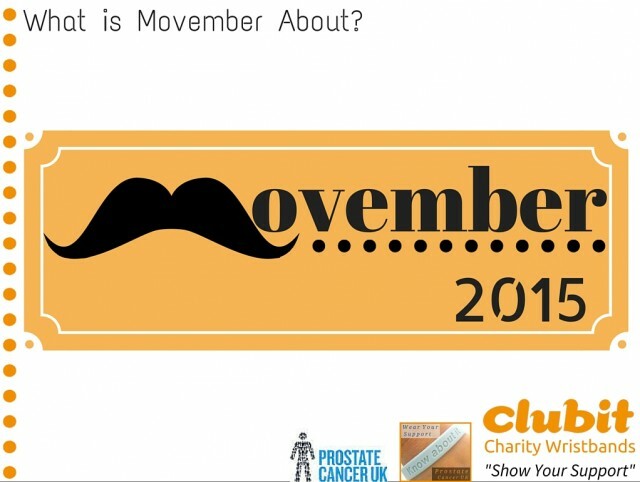 The aim of The Movember Foundation is to promote happier, healthier and longer lives for Men. Since forming, the charity has raised over £402 million and has funded over 1000 programmes focusing on Prostate and Testicular Cancer as well as poor mental health and physical inactivity. It all begins with a clean shaven face on Nov 1st and you then spend the whole of November growing and grooming your best moustache. 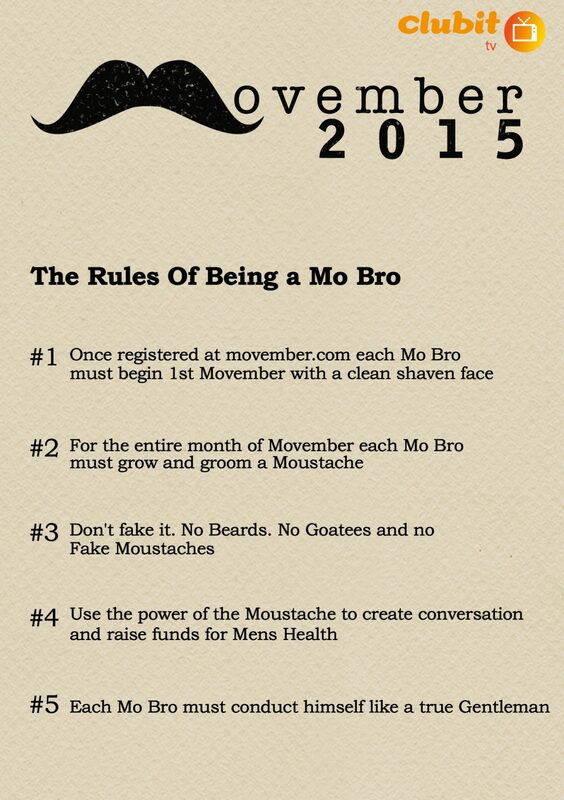 Check out the infographic below for the Movember rules. Clubit has been a long standing supporter of mens health and in particular Prostate Cancer. You can buy a blue ‘Know about it’ wristband that helps raise funds and awareness for Prostate Cancer UK charity. 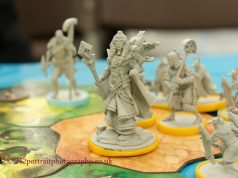 25% of your purchase goes directly to Prostate Cancer UK. Click HERE to find out more. It’s also worth checking out our other blog post from previous years Movember for our ‘amusing’ take on the Moustache! Next articleHappy Day of the Dead!